Luxury suites Chicago are available from Premier Luxury Suites. We have swish rooms available to business travelers, people on vacation or persons seeking long or short term rental options within the City of Chicago or within one of the Chicago suburbs. Our posh rooms are everything that dreams are made of. You can talk to one of our extroverted professionals regarding your specific rental needs, whether you are searching for an executive condo, a hotel suite or a gorgeous suburban property that offers plenty of peace and tranquility. All of our rooms come fully furnished and are ready for you to move in for your stay with us. Premier Luxury Suites also gives you high speed internet, phone access, cable TV, a DVD player, an iPod docking station and much more. Downtown customers staying within urban limits can expect the added advantage of weekly maid service. All of our rooms within your condo, hotel suite or apartment come with upscale furniture, scenic views and lots of cozy comfort to please you. Now is the time to learn more about our luxury suites Chicago and how you can obtain one of these suites for business or pleasure. This website features a map that has our different city properties and suburban properties. All properties are diverse when it comes to location and even style to some extent. You can tour different property areas offered by Premier Luxury Suites. Please get in touch with one of our professionals to receive a guided tour of various properties that we offer for rental, business or vacation purposes. Our luxury suites Chicago are bound to please you in every way possible. Please let us know how we can make your stay with us even better. If you have questions about Chicagoland attractions, public transportation options or key roadways we will be more than happy to answer these questions for you. All of this stuff is conveniently located near your property location, so you never have to walk far, especially if you do not have a car to drive. Finding the right luxury suites Chicago is never a problem when you are doing business with Premier Luxury Suites. We have marvelous suite accommodations for your comfort and pleasure. Again, all of our rooms are fully furnished and are loaded with awesome features for your convenience. 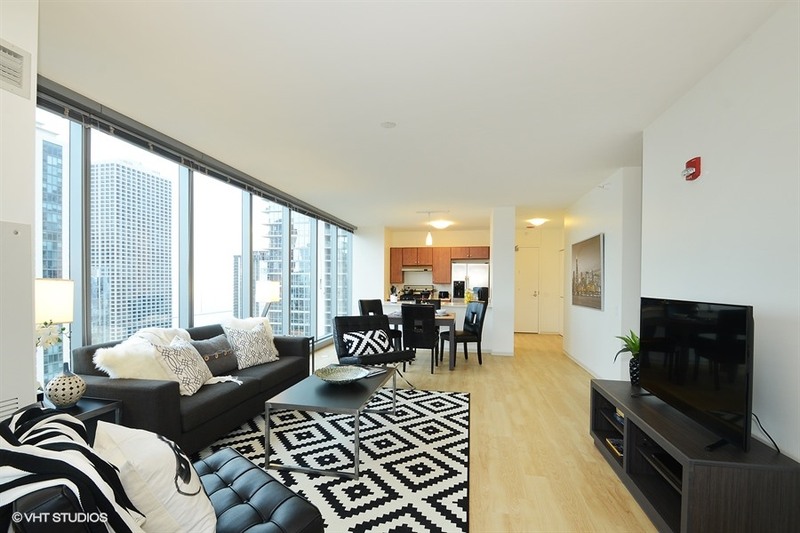 Chicago is a wonderful city, and it does not matter whether you are a resident, traveling to Chicago for a vacation, or are on business for your company, Premier Luxury Suites can help you. Please contact us regarding our luxury suites Chicago today and start living the good life with our amazing suites, condos and apartments.